Hello! Do you remember a couple weeks ago when I posted about the great T-Fal Cookware giveaway coming to the blog?? 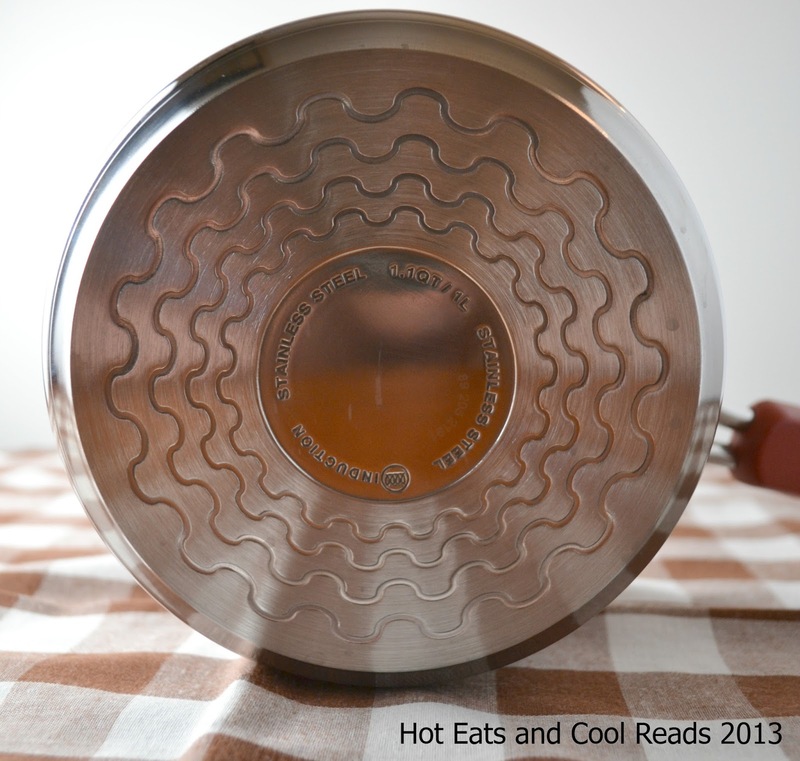 Well, it's time for a review of this amazing cookware!! 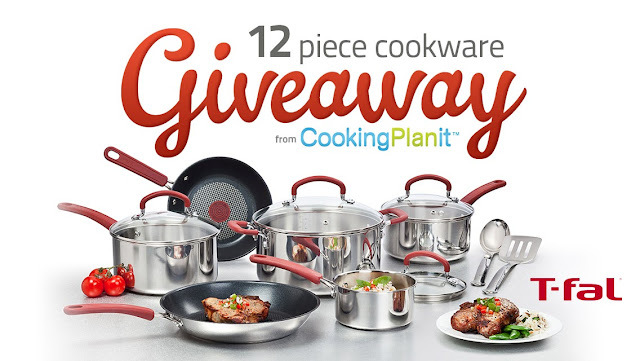 I've had the chance to use this cookware quite a few times, including cooking my Cooking Planit meal, and I have to say, that I really, really love this set!! 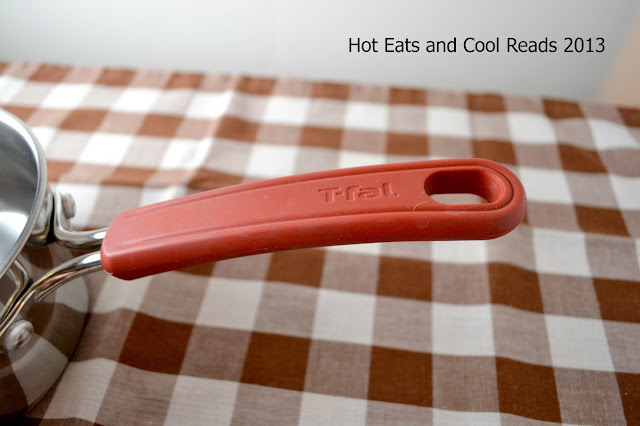 T-Fal is a brand most of us have heard of, and may have used at some time or another. I've always heard great things, but have never used T-Fal cookware myself. I was super excited for the chance to use this cookware in my kitchen, and for one of you to have a chance at winning this great set of cookware for yourself! Make sure to stop by the other 49 blogs that are participating, and enter to win there as well. My giveaway will be going live on August 22nd! You can find the links at the end of this post for the other blogs! 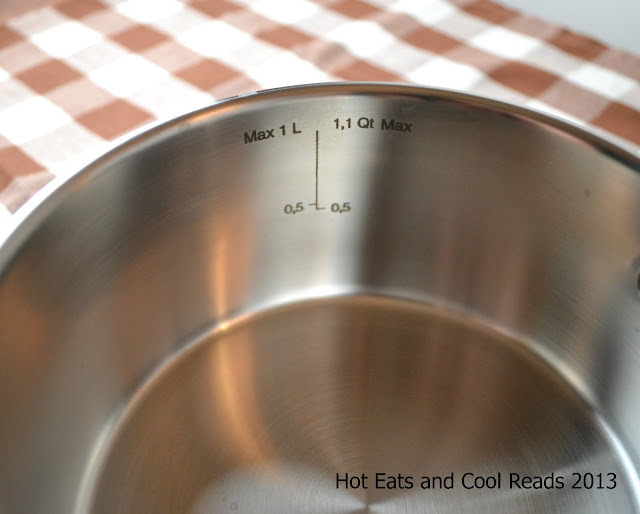 One of the first things I noticed when I opened the package of cookware, were the measuring lines inside of the saucepans. That is a great help in the kitchen! No need for measuring, then pouring into the saucepan. Skip the extra step, and do it all at once. I'm all up for saving time in the kitchen! Another great feature is the "Thermo Spot"! 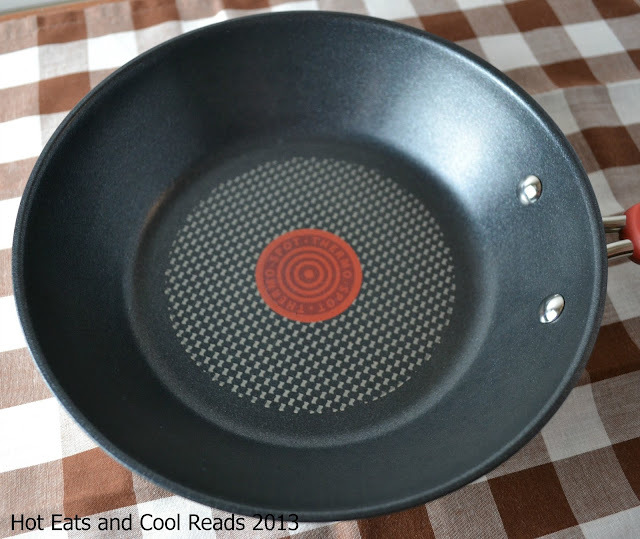 Both of the non-stick saute pans have the thermo spot technology! 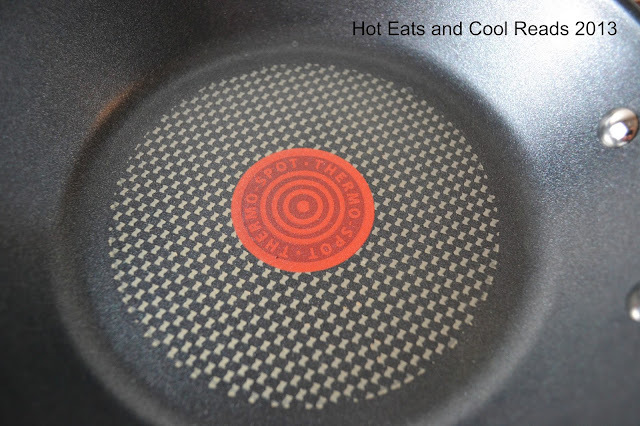 When you are pre-heating the pan, the thermo spot will change from a pattern, to a solid red. Once it turns to the solid red, your pan is pre-heated and ready to go! 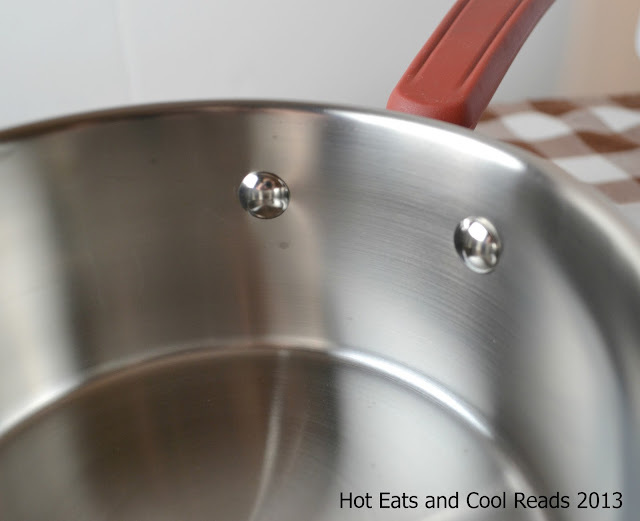 The saucepans are brushed stainless steel, instead of non stick, but I really prefer them to be stainless steel, so it's great for our family! I really love these pans are oven safe to 450 degrees, so if you need to both stovetop cook, and bake something, you can use the same pan for both. Once again, saving time! The handles are also riveted, so you don't ever have to worry about them coming loose, and the handles falling off at the wrong time. The base of each pan is multi layer. They multi layer helps to hold in the heat, distribute heat evenly, and help prevent warping from heating. You can definitely tell when you pick them up, that they are heavy duty and made to last. I highly recommend this cookware to anyone who is considering buying a new set for their home! I was not disappointed and I don't think you will be either! It's a great set for a beginner, or expert cook and it's very reasonably priced. You can find out more about this cookware on the T-Fal website here! You can purchase a set of your own here, or come back on Thursday and enter for a chance to win one! I was given a set of this cookware to try before reviewing. As always, the opinions are my own, and the free cookware has not influenced them in any way.